The dress was beautifully made. I ordered it in a custom color and MillyBridal was very patient to answer all of my questions throughout the whole process. Her priority was to make sure I was satisfied! The dress shipped and arrived in less than 22 days and was packaged with great care. 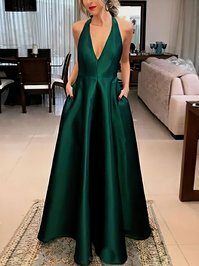 I would highly recommend MillyBridal to anyone ordering their dresses! I will be ordering the rest of mine very soon! Thank you MillyBridal! Love this elegant dress, and it may not that stunning in the pics, but i have to say it is sooo beautiful in person! And the lace up back is really a great helper, i can adjust the measurements easily. I looked great in this dress!! So happy to know MillyBridal, so lucky to have MillyBridal made my prom dress! I was really pleased with my dress!! It came in 3 weeks earlier than I expected and it is almost IDENTICAL to the image online! I was nervous that it would be different with the image online but I couldn't find any visible differences! I would recommend this company to anyone that I know. THANK YOU!